Lynsey is a lifelong resident of Rankin County. After graduating high school, Lynsey worked as an Interior Design assistant, which is where she found her passion for helping others make their house a home. At the young age of 20, Lynsey purchased her own home and accomplishing this goal allowed her to understand the joy and pride that comes with home-ownership. The joy and pride that she found in owning her own home was one of the many reasons Lynsey decided to pursue a career in real estate – to help others experience that same feeling of accomplishment. Lynsey currently works with residential buyers and sellers in Hinds, Rankin, Madison and Simpson counties. 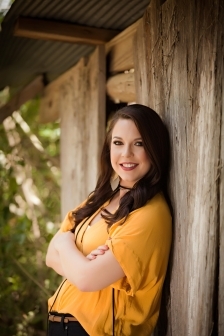 Having lived in several different areas of Rankin County, Lynsey has extensive knowledge of the communities and subdivisions and all they have to offer. Whether you are a first-time home buyer wanting to gain knowledge of the home-buying process, or you are looking to sell your home, Lynsey is someone you can trust to guide you through each step. Being your real estate agent isn’t just about helping you buy or sell a home, it’s also about a lifelong friendship and being a part of one of the most exciting and important chapters of your lives. Contact Lynsey at 769-220-2967 or by email at Lynsey@hopperms.com and get started on making your dream a reality today.